Est. 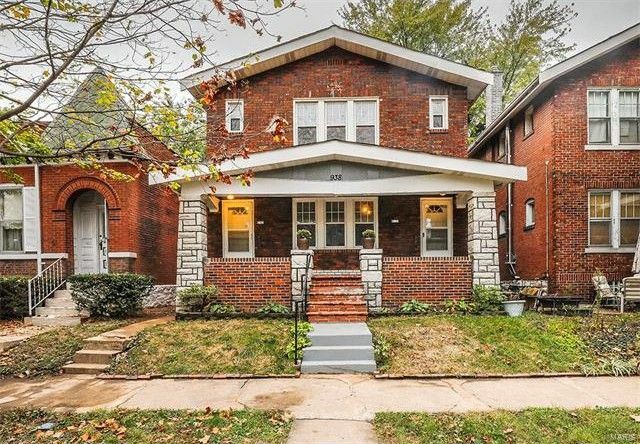 1926: Updated 2-family w/ Original Charm in Popular Carondelet Neighborhood. Amazing opportunity for Owner Occupant or Investor. Well maintained 2,300 square foot Brick Building features 2 Full Bedroom/1 Bath Unit each w/ Hardwood Floors, Decorative Living Room Fireplaces, Upgraded Kitchens w/ Newer Appliances, Renovated Baths, & Spacious Open Air Private Rear Deck. Central HVAC in Both Units. Building offers shared Full CLEAN Basement w/ Laundry Hookups, Glass Block Windows, Updated Stacks & Breaker Boxes. Updates include Roof & Gutters (2009), Newer Energy Saving Thermal Windows (2009), Refinished Hardwoods (2009 & 2016), Updated Kitchen and Baths (2009 & 2012). Don't Forget the Fenced-in Rear Yard. Directions: Grand to east on Wilmington.